Experience the true thrill of skateboarding! 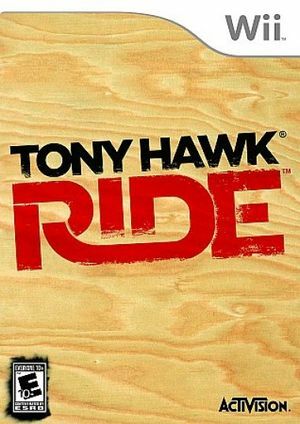 Tony Hawk: Ride's revolutionary motion sensing skateboard controller allows players to physically control the action by performing movements and gestures that directly translate into amaing tricks in the game. The game's intuitive controls and multiple difficulty levels make it a easy to pick up and play, making this an exciting party game for people of various ages and skill levels. The graph below charts the compatibility with Tony Hawk Ride since Dolphin's 2.0 release, listing revisions only where a compatibility change occurred.